Call Today for Laser Hair Removal! Are you looking for a family doctor that always provides quality care and personal attention? Whether you're looking for laser hair removal or Juve’derm XC treatments, we most likely provide the service you are looking for. You can't find better aesthetic procedures anywhere else in Nederland, TX. We cover everything from family health care to beautifying treatments like dermal injections and weight loss programs. Are you an employer and need reliable drug screens performed? Well, you have come to the right place! This is a family practice that covers everything, even occupational medicine. 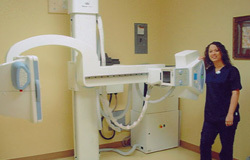 We offer a wide range of services at our health care facility. Our treatments and services include dermal injections, laser hair removal, drug screening, skin rejuvenation, weight loss treatment, and more. We use the latest medical techniques to provide outstanding results. We serve patients in Nederland, TX and the surrounding areas. Get flawless and beautiful skin with our wide range of treatments. If you are interested in learning more about our skin services, call us today. We're a family practice physician that specializes in medicine that makes you look and feel your best. We offer dermal injections to reverse aging and remove lines & wrinkles. Our expert team also offers hair removal services to permanently remove hair. We Even Provide Laser Hair Removal! For more information on how this facility can help you with any weight loss needs, lab work or whatever it may be, visit their website. There you will also find appointment guidelines and prescription medication policies. Beaumont Family Practice Associates provides the finest quality treatments backed by highly knowledgeable medical professionals who are friendly and very caring towards everyone. New patients are always being accepted and appointments are a requirement. At Beaumont Family Practice, physicians or nurse practitioners are on call through an answering service Monday through Friday from 5 P.M. until 10 P.M. as well as Saturday and Sunday from 9 A.M. to 10 P.M.
Beaumont Family Practice Associates is a modern, state-of-the-art facility, where physicians and nurse practitioners are fully dedicated to providing the best possible care and treatments. With the most advanced technology and the latest equipment, they can provide the highest quality of Juve’derm XC treatments, hair removal, lab work or whatever it may be that you need. If you want younger looking skin, we suggest our Juve'derm XC treatment. Call us today to set up an appointment. If Juve'derm XC is right for you, we would love to help! We serve clients in Beaumont, TX, Nederland, TX, and Port Arthur, TX with quality family health care and beautifying treatments like dermal injections, weight loss programs, Juve'derm XC treatments, and more. The Juve'derm XC procedure is one of the more popular techniques to achieve a younger looking appearance. 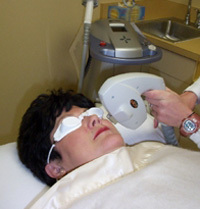 This treatment will add more volume to different areas in your face in a non-surgical way. You can now say goodbye to fine lines and wrinkles with the help of Juve'derm XC treatments. It is important to stay healthy or get in shape, but starting out can be a difficult task. If you need help with weight loss, Beaumont Family Practice Associates is here to help. We have weight loss programs to keep you happy and healthy. 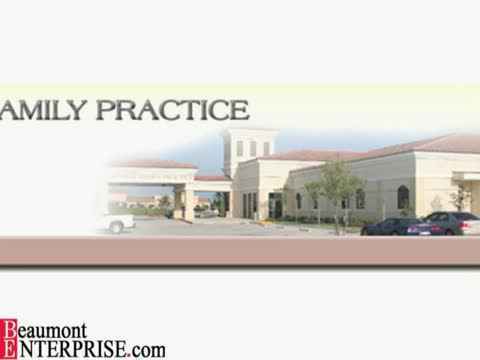 Beaumont Family Practice Associates is your family practice physician that you can count on for quality, comforting and reliable healthcare, aesthetic treatments and occupational medicine services in Beaumont Texas. Vela Shape, Cat Scans, Obagi Nu-Derm System Products, Skin Tighting, Obagi Professional-C Serums, Obagi Rosaclear System, HCG Injections, Botox, Elastiderm Eye, Juve'derm XC, Latisse, Jefferson County Medical Association, Texas Medical Association, American Medicine Association, Physician, Physicals, Occupational Medicine, and Lab Work.